Professor Frederickson's areas of interest include the analysis of algorithms, with special emphasis on data structures, and graph and network algorithms. His recent work has focused on designing data structures to dynamically maintain information about graphs, on designing optimal algorithms for parametric search problems on trees, and on discovering graph decompositions that facilitate fast algorithms for shortest path problems. 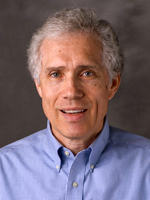 Professor Frederickson has served on the editorial boards of SIAM Journal on Computing , SIAM Journal on Discrete Mathematics , and IEEE Transactions on Computers , and Algorithmica. He has published four books, Dissections Plane & Fancy, Cambridge University Press, 1997, Hinged Dissections: Swinging & Twisting , Cambridge University Press, 2002, Piano-Hinged Dissections: Time to Fold!, A K Peters, 2006, and Ernest Irving Freese's `Geometric Transformations': the Man, the Manuscript, the Magnificent Dissections!, World Scientific Publishing, 2017. Professor Frederickson was recognized in 2003-04 as a Top Ten Outstanding Teacher in Science at Purdue, and was inducted into Purdue's Book of Great Teachers in 2008. He won a George Polya Award from the Mathematical Association of America in 2004, and again in 2009.